I knew Kim Philby, but then who of my generation of foreign correspondents didn’t? His family nickname came from Kipling’s novel whose eponymous hero was ‘little friend of all the world’. Kim collected friends as he collected wives. He needed to be liked and loved. With reservations, my wife and I did like him. In the late Fifties, Kim was appointed Middle East correspondent of the Economist and the Observer, and throughout the Beirut summer of 1958 we formed a working coalition to report the Lebanese civil war. About spying, he was mute. Everyone accepted that he was still at it – for the British, of course. But he talked to us ‘frankly’ about his involvement in the defection to Moscow of Burgess and Maclean, naturally insisting on his ‘innocence’. It wasn’t until he himself fled to Moscow in 1963 that Kim spoke of his espionage coup in the winter of 1941 which triggered the slow but sure defeat of Hitler’s armies. The story begins in May 1941, when Richard Sorge, Tokyo correspondent of the Frankfurter Zeitung and Soviet spy, warned Moscow that a German attack on the Soviet Union was imminent. Stalin refused to believe him. He also dismissed the British government’s warnings to the same effect. Six months later, 78 German divisions halted on the outskirts of Moscow, exhausted, frozen and short of ammunition, food and petrol; but morale was high. Everyone confidently believed that they had crushed Soviet resistance. And then on 5th December the Soviet High Command launched a counter-attack across the snow and ice with new guns, new tanks and a million fit new men. The Germans retreated up to a hundred miles. Their losses were enormous: up to 750,000 casualties and a quarter of all their tanks and artillery. Panzer General Heinz Guderian wrote in his diary: ‘We have suffered a serious defeat.’ It was more than that. It was the turning-point of the conflict. As the Germans came to terms with their first defeat, the Japanese bombed Pearl Harbor and Hitler declared war on the United States. Strategically the Soviet victory outside Moscow was made possible by the intelligence supplied by two spies: Sorge in Moscow and Philby in London. In October, Sorge reported that the Japanese proposed to strike south and therefore posed no further threat to the Soviet eastern front. Once again Stalin refused to believe him. In November, however, as German troops advanced swiftly towards Moscow, Philby sent the NKVD the text of an intercepted telegram. It was from the German ambassador in Tokyo to Berlin and it gave the same information about Japanese intentions as Sorge had done. With this confirmation Stalin ordered all troops in the Far East, Siberia and Central Asia to the defence of Moscow. More than twenty years later Philby told the Soviet journalist, Genrikh Borovnik, that the Tokyo–Berlin telegram was the most valuable information he ever sent to Moscow. These are the facts: or are they? The world of espionage, in the words of James Angleton of the CIA, is a ‘wilderness of mirrors’. From personal knowledge I can testify to Kim Philby’s ability to tell almost the truth. For example, in his interview with Borovnik he says: ‘My report was independently confirmed by Sorge from Japan.’ Untrue: Sorge reported a month before Philby. Then there’s the question of how Philby got hold of the intercept. The telegram was part of Ultra, the top secret information produced by the code-breakers of Bletchley. Ultra distribution was carefully controlled and carefully guarded. 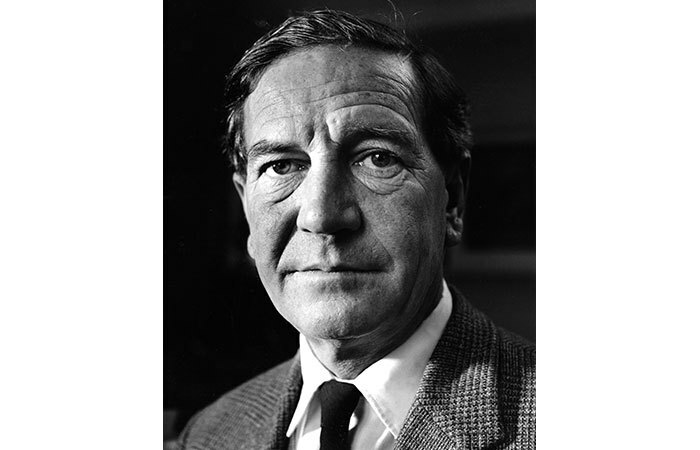 In November 1941 Philby was stationed in St Albans, dealing with counter-espionage in Spain, Portugal and their islands in the Atlantic. It seems highly improbable that he was given access to Ultra and even more unlikely that he could steal, copy and return Ultra documents. Could he have been given the intercept to pass on to Moscow? His bosses in SIS realised that anything from official British sources would be rejected by Stalin. It could be argued, therefore, why not try a Soviet source? And if they turned to Philby, doesn’t this suggest that they knew all along that he was working for the NKVD? In Moscow, the Philby puzzle was approached from another angle. The NKVD analyst Yelena Modrzhinskaya spent two years checking all Philby’s reports, coming to the conclusion that they were too good to be true and that he was a British Intelligence plant. Eventually Philby was cleared. But the trouble with double agents is that nobody really trusts them. After Philby’s flight to Moscow, even Donald Maclean accused his fellow Cambridge spy of continuing to work for the British. The KGB kept him under careful watch until his death a quarter of a century after his defection. They used him as a propaganda vehicle against the West. They gave him money, medals and special treatment, but they never thanked him for helping to win the Second World War.